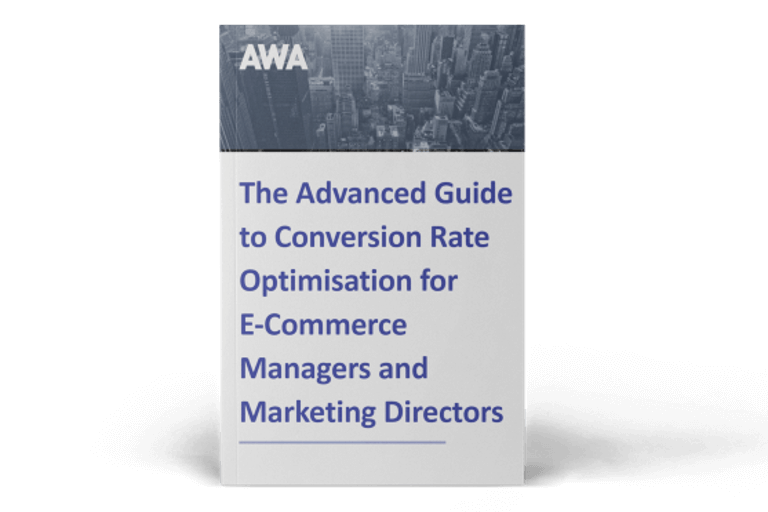 In a new video blog format, AWA digital’s Marketing Manager Sally Edwards takes a look at the latest conversion optimisation tools and industry news, with insights from Chief Operating Officer, Johann Van Tonder. 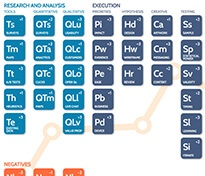 This month we review a host of new features from Optimizely including the option to make experiments mutually exclusive; embrace a great new way to set up live conversations in real time from UserTesting; explain how iPerceptions is using Artificial Intelligence (AI) to create an advanced new text analysis solution; look at a new innovation from SurveyMonkey that could increase completion rates by 19 per cent; and share the latest innovation from Google Analytics. We know that many Optimizely customers run several different experiments at the same time and if these are unrelated, it doesn't matter if visitors are exposed to more than one when they visit a website. But, if these simultaneous experiments are connected and visitors see both, they may behave differently to those who see only one of the experiments in isolation. To make sure that this doesn’t affect experiments and to remove noise and bias from test results, Optimizely customers can now make split tests mutually exclusive. Any visitor who sees Experiment A will not see Experiment B, and vice versa. Cache expiration (TTL) is now customisable and can be adjusted to optimise for better performance or more frequent updates. Profiles now have additional fields, so users can find out more about the collaborators. Infrastructure has been improved to upload snippets quicker when multiple experiments are saved together. "Wow, this latest release from Optimizely is packed with useful updates. If you tend to run multiple experiments in parallel, you'll be delighted to hear that they can now be mutually exclusive, meaning that a visitor will only be bucketed into one experiment at a time. This is significant, because while parallel testing streams is a good way to ramp up velocity on your programme, you want to avoid cross-contamination. Another update I'd like to highlight is making preview links easier to copy and share, particularly on mobile, which is great news for Quality Assurance purposes." There is nothing as valuable as getting real-time human insights for making better business decisions, and a new feature from UserTesting lets website owners do just that. Live Conversation is an integrated system that makes it fast and straightforward to carry out live interviews with consumers. This is a streamlined, self-service platform that lets users set up and recruit participants for live interviews. Users choose the demographics of the participants they are seeking and set the time, and the tool does the rest. UserTesting automatically fills the studies, according to the criteria set, using its proprietary, on-demand panel of more than one million people. Confirmed interviews show up in the account, ready to start. Once completed, video recordings of the session will appear in the UserTesting dashboard so users can create clips and highlight reels to share with colleagues. "Talking to users in real time is a key ingredient in our conversion improvement recipe. Having live conversations with users will help uncover insights that could not be unearthed in any other way. We can't wait to try out this new solution by UserTesting, it lets you set up live interviews with users that meet your pre-determined criteria." Voice of customer solutions tool iPerceptions has created an advanced new text analysis solution that uses Artificial Intelligence (AI) to do the heavy lifting. Text Analytics uses natural language processing and machine learning to continuously monitor, evaluate and organise open-ended customer feedback, automatically categorising every comment based on whether it is highlighting a problem, giving praise, making a suggestion or raising a question. This clever new feature can also be combined with other sources of insight, for example tapping into social media streams and Interactive Voice Response to take the hard work out of collating and evaluating customer feedback. "Some people feel threatened by AI. However, it can actually make your job easier by helping you to focus on what's really important. AI combined with a skilled optimiser makes a killer combination. Here's an example: at AWA we're big fans of open text feedback, but processing it can be quite time-consuming. With this AI-driven solution, the optimiser can focus on activities that will improve the bottom line while machine learning takes care of the analysis in the background." As part of a major overhaul of its offering, SurveyMonkey has automated the process so that when a respondent answers a question the next one slides up automatically, making manual scrolling a thing of the past. SurveyMonkey says that this simple action will add a lot of momentum to surveys and drive completion rates up by as much as 19 per cent. In addition, SurveyMonkey Genius is a new feature that uses machine learning to instantly estimate how a survey will perform and give actionable recommendations to improve it. This signals a fresh new chapter for SurveyMonkey with a brand new mission and a contemporary new look and a suite of features designed to make it easier than ever for users to ask crucial questions. We’re looking forward to putting the claims to the test. Have you ever wished that getting data about key business metrics was as easy as asking a question in plain English and getting an immediate response? Well now it is that simple with the latest innovation from Google Analytics. The ability to ask questions is part of Analytics Intelligence, a set of features in Google Analytics that use machine learning to help users better understand and act on their analytics data. If you are a fan of Google Optimize, the tool is now available in 37 new languages. Once a language is selected in Google Account preferences, a user’s Optimize account will automatically be displayed in that language. So that's it for this month; we hope you've enjoyed this instalment of our Monthly Tools and the new format. If you'd like a reminder of when we post content, sign up to our newsletter using the form to the right. If you have any questions or comments about the new format or any of the updates, feel free to leave us a message in the comments below. 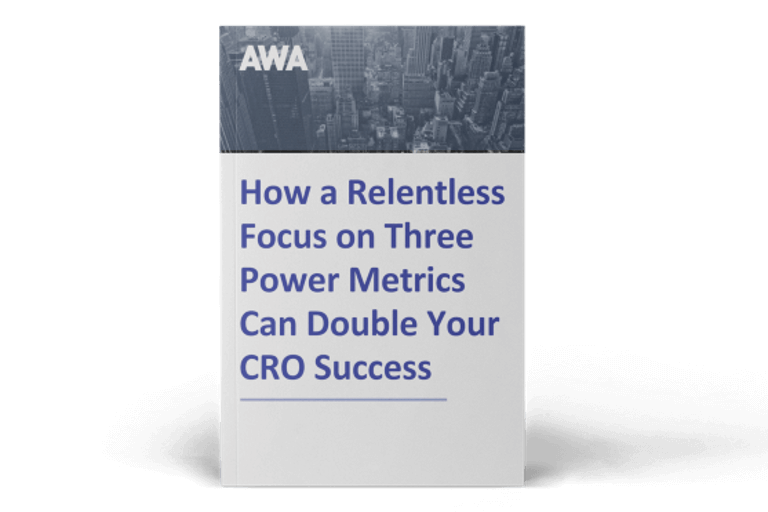 Otherwise, we'll see you next month for our latest in CRO tools.